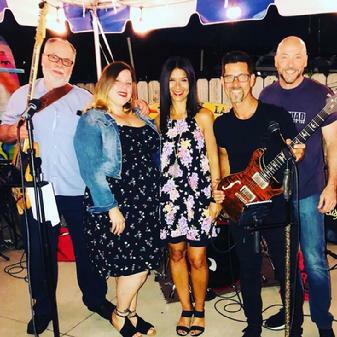 Playing an eclectic mix of pop and rock covers, the Mike Risko Band is known for it's ability to cover any tune while keeping the energy up and the party rockin. Their sets span the decades from current pop and jam bands, power balads and classic rock favorites, country and alternative. 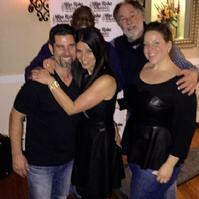 The Mike Risko Band is available as a 5 piece electric rock band and/or a 2 or 3 piece acoustic duo or trio. They can play any event from small clubs and bars, outside concerts and events and parties of any kind. 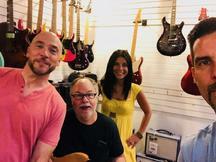 Fronted by Mike and Miriam Risko, (guitar player and singer) and owners of the Mike Risko Music School and Store in Ossining, the Riskos have been educating musicians and bringing music to the area for almost 25 years. Mike and Miriam began playing together in 1997, their very first gig was an acoustic show at the Lazy Boy Saloon. From there their band evolved into a band called Lucy's Frantic which played all over the area including South Street Seaport in NYC for both New Years Eve and July 4th at Z-100 sponsored events. In 2005 the band became The Mike Risko Band. 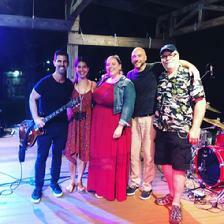 Mike and Miriam joined forces with three of their closest friends, Croton Pediatrician Dr. Larry Baskind on Bass, Steve Sincero on Drums and Melissa Miser on vocals. This powerhouse group has been making music together ever since and consistently drawing large crowds at every venue they play. 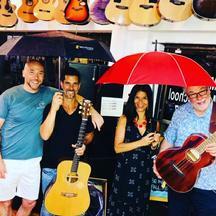 In addition to their regular gigs, they make it a priority to give back to the communities that have supported them by supplying live music to many organizations that are looking to fundraise. They are especially committed to giving back to families by supporting Education Foundations, Schools, sports groups and PTAs. 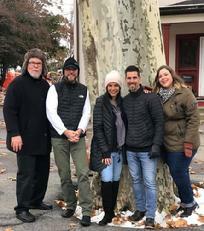 Mike and Miriam Risko curate and produce many different concerts including the inaugural year of the Briarcliff Manor Summer Concert Series 2018 and the Ossining Concert Series 2019. They also founded and produce Make Music Day Ossining Briarcliff including placement of over 25 bands on the Summer and Winter Solstice. Fore more information on the band, please call 914-762-8757. 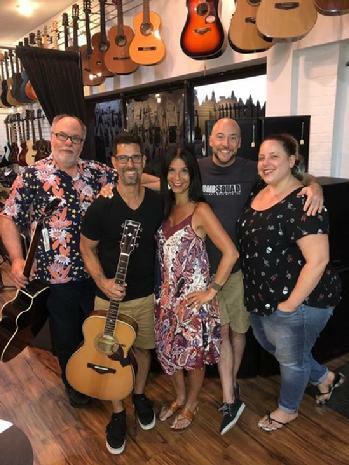 Check out the Mike Risko Band at the Ossining Summer Concert Series 2018! 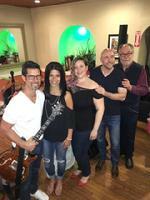 Check out the Mike Risko Band at the Ossining Summer Concert Series 2017. Watch here! Click here and check out this video of the Mike Risko Band (and all the other bands) that performed during Make Music Day 2017 in Ossining and Briarcliff.